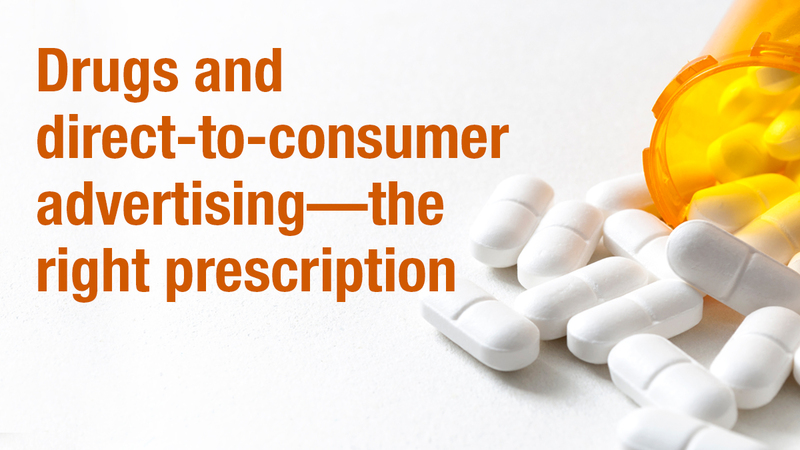 In 1997 when the U.S. Food and Drug Administration (FDA) clarified ways pharmaceutical companies could meet what had previously been vague guidelines, the direct-to-consumer (DTC) advertising boom for prescription drugs and medical devices was started. Some people may regret that day, especially hearing commercials listing the potential side effects of a particular drug. But it dramatically changed the way pharmaceutical companies sell their products. In the past, pharma companies relied on an army of sales reps to meet and schmooze doctors with the goal of promoting their products. With the new FDA guidelines, pharma companies were allowed to talk directly with patients and empower them to have a dialogue with their doctor about the best treatment. How would pharma companies adapt? They were great at influencing doctors, but a considerable amount of work lay ahead as they lacked experience and infrastructure to support a direct-to-consumer model. Pharma companies quickly turned to the financial services industry to attract talent and resources. After all, financial services had expertise and experience leveraging data to drive successful campaigns. Because of our expertise in financial services industry, Creative Solutions was selected by one of the largest U.S. pharmaceutical companies to develop their database and create the foundation for all their DTC efforts: data collection, housing, protection, compliance and dataset integration. More importantly, how data was leveraged to ultimately increase product sales. Data continues to grow at an exponential rate from sources like digital platforms, wireless sensors and mobile phones. Similar to credit card marketing, selling the product is only the first step. Convincing the consumer to use their card and revolve a balance is another challenge. For pharmaceutical companies, the challenge is medication compliance—taking drugs as prescribed, which is measured by two key metrics: adherence and persistence. Adherence is conforming to the prescription timing, dosage and frequency, while persistence is conforming to the prescribed duration. Effectiveness of the treatment is dependent on these as are the profits for the pharma company. Direct response marketing and communication with patients can help reinforce and educate the importance of medication compliance. With over two decades of experience, Creative Solutions has helped pharma and a variety of other companies leverage big data, drive sales and growth. Call 302-543-8533 or email us today to explore how we can help your business.